While walking near Frank's place last week, we could see this guy who appeared to be floating on air through the field up ahead. Eventually, he came to a bit of a clearing and we could see that he wasn't exactly levitating, but riding a unicycle instead. Of course, Frank already knew that because he's been seen riding round town like this for years - one of their local, colourful characters. WOW! That is a skill! :) I'm going to enjoy these posts with a good cup of coffee in the morning. Thanks so much for mentioning mine, always a much appreciated and humbling honor. That picture rocks! You should develop it and give it to him! Thanks for the links. I always am on the lookout for more good reads. I actually have a few hours to take a peek :)! YAY and congrats to the chosen blogs :). A unicycle? What fun & whimsey! It's good to see you have your share of eccentrics.....they do make the world a better place. Beautiful picture. I don't know how he balances with the flag in his hand. Love the photos!! How hard that must be riding a unicycle!! Ha! I bought a unicycle, but no one in our house has ever mastered the art of riding it.. it sleeps in the garage. Thanks for the wonderful selection, I'm off to explore one or two of them now. I must admit that you have to admire those calves! Thanks for the award! Now on to read the other links. looks like unicycling keeps you FIT! So funny that he goes riding on it out in the country like that! The picture reminds me of the scene in Butch Cassidy and the Sundance Kid when Butch shows up with a bicycle at the home of Sundance's girlfriend. Only you don't know he has a bicycle. You just see the view out her windows, as his head floats by, from window to window, and he warbles in a ghostly voice, "You're miiiiine, Etta Place. Aaaaaaall mine. Your soft, white flesh. Soft, white, BWAHAHAHAHA!!!" A die hard unicycle rider. You did a great job getting the photo through the field. Thank you .. I am in excellent company .. so congrats to everyone! 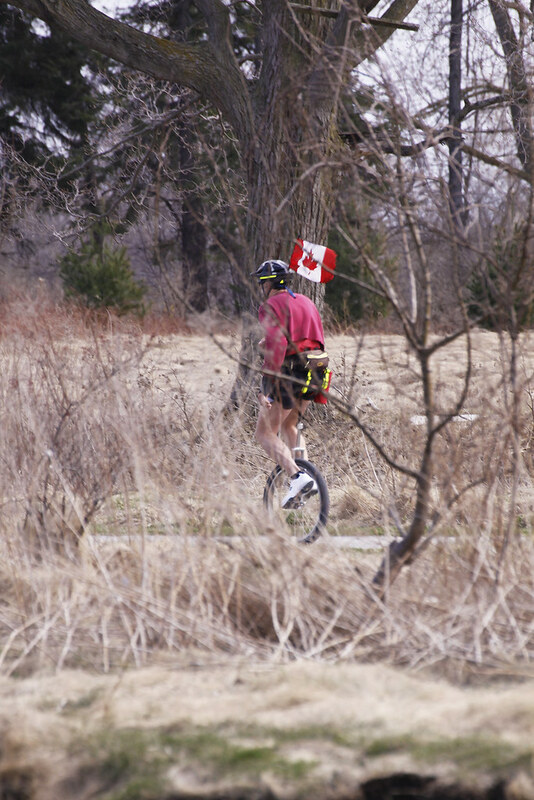 we have a similar local unicycler! A friend I taught with used a unicycle to go everywhere.They take a lot of muscle. Oh Hilary, that is funny--I would have thought the same thing. Magic. And you captured it so well. Why thank you, Ms. Hilary! I'm honored to be chosen. Thank you Hilary...a grand surprise today! The very idea of riding a unicycle is funny to me! I can barely balance on a bike. I've never seen anyone just toodling around on a unicycle! Fun! And congrats to all the POTW! Sheer serendipity! That you were there, that you spotted him and that you had your trusty camera at the ready. Brilliant. And then to find I have been honoured, well, JP and I, without him there would be no humour. so many wonderful posts you have suggested, thank you. Fun to imagine your unicyclist floating through the world. Oh! Thank you so much! Je suis vraiment très émue! I feel really honored! Thanks again! I enjoyed very much your post! Wonderful! And some of my friends are in here! And my other new friends, too! That is a hoot!!! I've never tried a unicycle and can't imagine riding one out on a trail. Great shot! And thanks for the great reads. 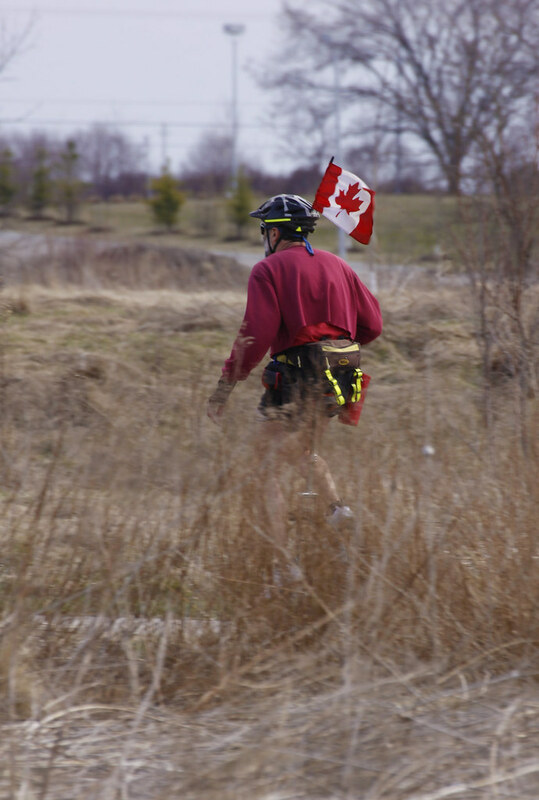 Great pics of the floating cyclist! Thanks for a lot of good reading tips this week. Thanks also for supporting the POTW. Your kindness is always very much appreciated. You found a very intersting and fun image and great photo. Im humbled and honored beyond words. Thank you . Congrat also to all the others. I havent been around all week and will give each a visit. Absolutely fantastic! I'll give it a try!! thank you for the mention, Hilary, and for all those great reads! HAHAHA! i would not have expected a unicycle. pretty funny surprise. Your unicyclist made my night! He's more coordinated than I'll ever be in my wildest dreams. Thanks for the POTW mention! How fun to see myself listed here. Great company I keep this week.